Liu Xuehong, the former manager of China Youth Daily who lives in Beijing as a retiree, said her fate was changed completely by an exam 40 years ago. In October 1977, Liu, while working on a farm in a village in Beijing, got the news that the national college entrance exam, known as the gaokao in Chinese, which was halted during the "cultural revolution" (1966-76), would be resumed and the first exam would take place in December. In those days, many scholars were sent to rural areas to work on farmlands. The news of the gaokao's reinstallment swept the country, exciting numerous young people. "Some had almost lost hope of entering college and thought their life would consist of working in farms forever," Liu told Beijing Review. Liu's dream college was Peking University, one of the most prestigious universities in China. "I would pass by the university many times and every time I would ask myself when I could come and study here," she said. The resumption of the gaokao made her dream much closer to reality. She applied for the exam and gave her all to the preparation. She was among the 5.7 million people who took the exam that year. "There were no reference books at that time and we had no idea how to prepare," Liu told Beijing Review. "We collected all the books that we could and spared no effort on preparation." They sat in groups and studied during breaks from farm work. "I could feel that many didn't put much hope in this exam as the materials we could access were quite limited and we had been away from school for a long time," Liu said. "But we gave it a try anyway." 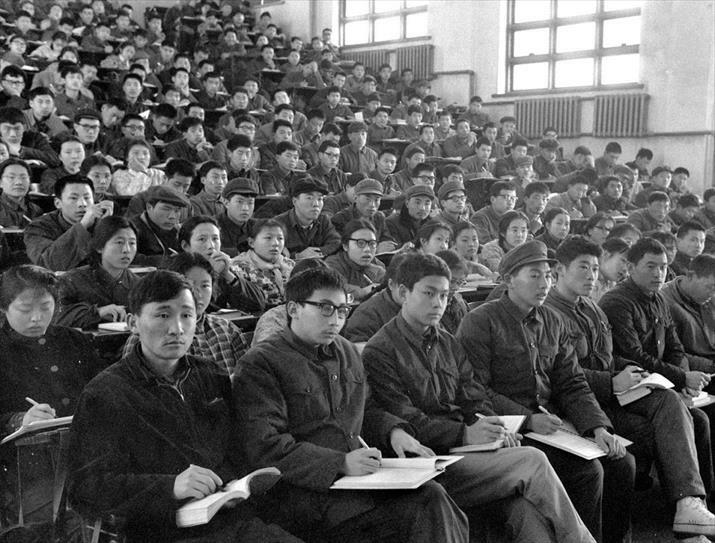 The gaokao in 1977 was the only time it was taken in winter. In 1978, it was changed to summer. Before the results were released, Liu's essay was published in People's Daily, a major newspaper in China. "When I saw my essay in the newspaper, I knew I had passed the exam," she said. Liu received the highest score in Beijing that year and was enrolled in Peking University, majoring in journalism. That year, 270,000 students out of 5.7 million were accepted by universities, an enrolment rate of 5 percent. "Without the gaokao, I might have ended up being a saleswoman in a state-owned department store, as many women did in those days. I wouldn't have been given a chance to be a journalist and the gaokao offered a platform that I couldn't get otherwise. For me, it was a life-changing exam," she said. The resumption of the gaokao, especially in the first three years, changed the life of many people, and some of them became outstanding in their fields later. Zhang Yimou, the famous movie director, took the exam in 1978 while he was working in a textile factory in Xianyang, northwest China's Shaanxi Province. This was the first year that Beijing Film Academy had enrolled students after the resumption of the exam. Aiming to study photography in the academy, Zhang collected 60 photos he had taken and sent them to the academy to apply. "My motivation to go to college was very simple. I wanted a better job, as college graduates could be assigned to better enterprises in those years," Zhang told China Central Television during an interview. He made it and in 1982, after graduation, went to work at Guangxi Film Studio. "I felt that was the real beginning of my life," he said. "There was no way I could have become who I am without the gaokao." In 1978, 6.1 million applied for the exam, more than in 1977 and 402,000 were accepted into higher education. "As the news of the gaokao's resumption in 1977 was at such short notice—leaving only two months for preparation—many chose to take it in 1978 to have more time to prepare," said Liu Zhenyun, one of China's top writers, who took the exam in 1978. Liu was teaching at a middle school in central China's Henan Province when he got the news and could prepare for the exam only in the evenings. "We formed a group that studied at night. We lit a coal oil lamp every day and often studied overnight. The next morning, everybody's nose was black by the coal oil." "In those days, though, the same significance was not attached to the gaokao as in the following years, since many people were already married and had children. They just wanted to give it a try," Liu added. Cao Jingxing, a host of Hong Kong-based Phoenix TV, was among the married examinees. He deliberated for quite a while on whether to take the exam or not. Born in 1947, he was 30 in 1977, old compared to the younger students, but he and his wife decided to try. 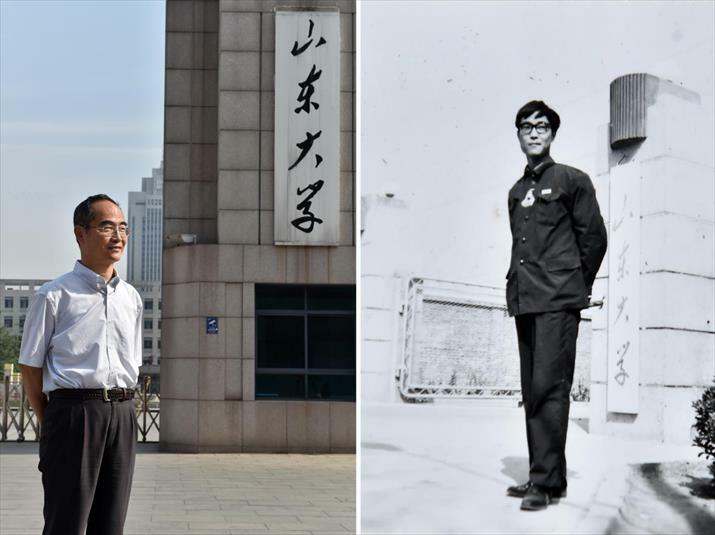 They took the exam twice—in 1977 and 1978—and both were finally accepted by Fudan University in Shanghai. After graduation, he went to work in the Shanghai Academy of Social Sciences and then moved to Hong Kong, working as a TV host. His wife is now a professor at the Chinese University of Hong Kong. "Without the resumption of the gaokao, I definitely wouldn't be where I am now," Cao said. "This group of people that enrolled into universities in the first three years after the resumption of the gaokao proved to be a key driving force in the later reform and opening up," said Liu Haifeng, head of the School of Education at Xiamen University in southeast China's Fujian Province, during an interview with Xinhua News Agency. "Without the gaokao, we could not have reached our current phase of development. The history of the gaokao has been closely related to the fate of the country and the people," said Dai Jiagan, Deputy Director of the Chinese Society of Education, to Xinhua. Liu Xing, a Beijing local, was enrolled at North China University of Technology in 1988. "It was the last year that the state covered all college expenses, including healthcare and tuition," Liu told Beijing Review. "So I didn't spend a penny on college education." 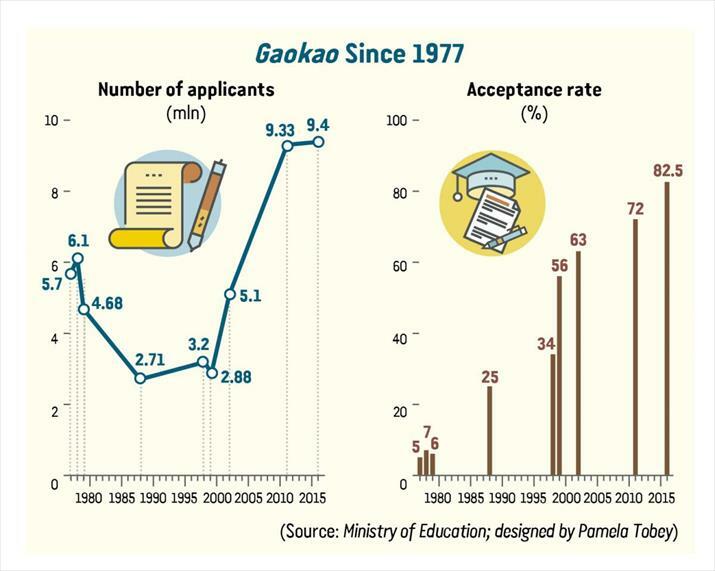 The gaokao was considered to be the only ticket to reach a higher social level, especially in the days when Liu took the exam. But Liu said he is not a typical example of the college students of his time. "I am good at exams," he said. "I might not be a good student but I can always get decent scores in exams. So I didn't put myself under much pressure and regarded it simply as an experience." Liu's major in college was computer science, which was a hot subject in the late 1980s. After graduation he got a job at the Chinese Academy of Sciences. But working with computers was never his interest. "We couldn't change our major at universities," Liu said. "My preference was economics or finance, but I stuck with computer science for four years in university and got a related job after graduation." After working there for almost 10 years, he went to the United States to learn economics from scratch. Liu never thought that an exam could decide a person's fate. "There are many paths that you can follow, especially with the opening-up policy, which has brought more choices," he said. In 1996, a policy was announced that college graduates would not be assigned jobs by the government and all graduates would need to go to the job market. "Even though we knew that all of us would have to enter the job market, taking the exam was the only choice for us," Bai Boyu, who took the exam in 1996, told Beijing Review. "We called the exam a single-log bridge that everybody wants to cross." Bai was enrolled in the Beijing-based Minzu University of China, majoring in chemistry. "We applied for a major but the universities decided whether we would be accepted for that major according to our scores," he said. "My favorite subject was finance, but it was a hot major at that time and many enrolled students competed for it. I failed and was reassigned to study chemistry." Bai didn't give up and finally went to the Central University of Finance and Economics for postgraduate study, majoring in international finance. "I would say the gaokao is an important step but it is not the only one. We will come across many more choices after the test anyway," he remarked. In 1999, China started to enroll more college students. The acceptance rate jumped from 34 percent in 1998 to 56 percent in 1999. But this didn't cool down the pressure of the gaokao. On the contrary, some middle schools in almost every province and region began to train students intensively for the gaokao. To get high scores in the exam was the only goal in such schools. The Hengshui Middle School in Hebei Province, which emerged in the mid-2000s, is a typical example of that. All students need to stay in school, getting up before 6 a.m. and going to bed after 10 p.m. For years, the scores these students attained were much higher than other schools' from the same province. The high level of pressure that the exam puts on students and the emergence of such schools provoked arguments on the negative aspects of the gaokao. "What I can remember of the high schools are piles and piles of exam papers and reference books," Shu Lu, a lawyer working in Shanghai, told Beijing Review. Shu took the exam in 2004 in east China's Zhejiang Province. "Almost every day I buried myself in books and the conversations with my parents were mainly about scores and the gaokao. I think they were even more nervous than I was." There was a countdown board hanging on the wall in Shu's classroom in the last year of high school. "Everything had to give way to the gaokao," she added. "I think education in schools like Hengshui is quite twisted and definitely on the wrong track," Liu Xuehong told Beijing Review. "To solely eye the score is a disaster." But Liu agreed that the importance of the gaokao hasn't waned, even though young people nowadays have more choices like going abroad for further education. "The gaokao does have some weak points but I think those who exaggerate the negative points of the test are those who are unable to study well," said Qu Xinchao, born in 1988, who took the exam in 2007 in north China's Shanxi Province. He was accepted by Tsinghua University. "When I took the exam, there were not many choices for us except for the gaokao," Qu said. "I think it is a rather fair way to select talent in China." Statistics from the Ministry of Education show that from 1977 to 2016, 120 million Chinese enrolled in universities and the average number of years in education for the labor force increased from 5.7 to 11.9. Wang Junkai, a member of the pop band TF Boys in China, took the exam this year, which was reported by many media outlets including overseas ones because of the influence of the band on students. From March, Wang canceled many performances and paid all attention to preparing for the exam. Right before June 7, when the exam kicked off, many of his fans left messages on his Weibo account, wishing him good luck. The scores of this year's examinees will be released around June 23. The students who get the highest scores in each province, region and city will be in the spotlight for a while. 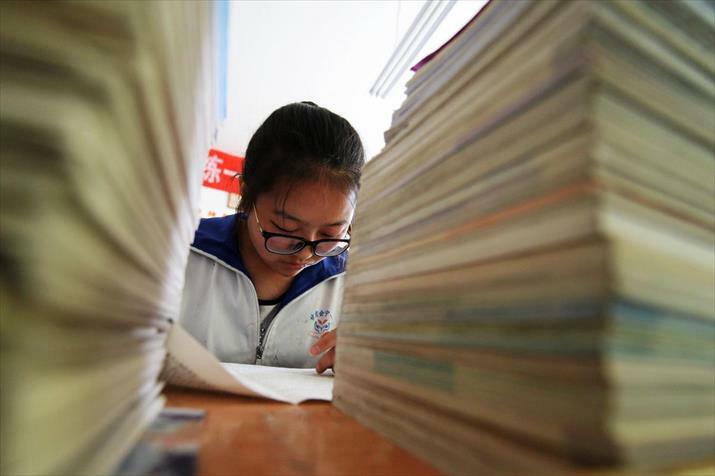 "Getting the highest score in one exam is more by chance," Liu Jie, who got the highest gaokao score in Jinan in Shandong Province in 2006, told Beijing Review. Liu is teaching physics to high school students on the Internet, helping them get good results at the gaokao. "There is no learning methods or skills that fit all, and the effect of the gaokao on people varies based on different conditions. For me, I benefited from it." • Will Free Education Attract More Male Teachers?